The prolific Duke Robillard’s September 25, 2015, release on Stony Plain Records is a welcome addition to his prodigious catalogue. Through the years “Duke Heads” like myself have enjoyed his various releases where he visits a variety of American musical idioms. From the Kansas City jump blues, swing, jazz, low down gut-bucket blues, to guitar exotica and beyond, Duke has played it all. However, this is his first extended foray into the acoustic roots of American music. Like the album title exclaims they are also the acoustic roots of the American treasure known as Duke Robillard. Here Duke reaches back and pulls some previously recorded, yet never released material which hits upon a vast expanse of America’s musical heritage. Starting out with an instrumental reading of Stephen Foster’s My Old Kentucky Home to a duet with Jay McShann by way of Meade Lux Lewis’ Profoundly Blue, Robillard captures the spirit, the beauty and the soul of music from a bygone era. From country icons Jimmie Rodgers and Hank Williams to blues giants Big Bill Broonzy and Robert Lockwood Junior, Duke, blazes a trail from Appalachia to the Delta and from a city street corner to a backwoods country porch. One of the real treats in this generous eighteen song feast is the handful of Robillard originals that connect this modern musical icon directly to the past. His tunes I Miss My Baby In My Arms and Backyard Paradise for instance have the imagery and personal touch which can turn a few minutes of music into something special and truly memorable. 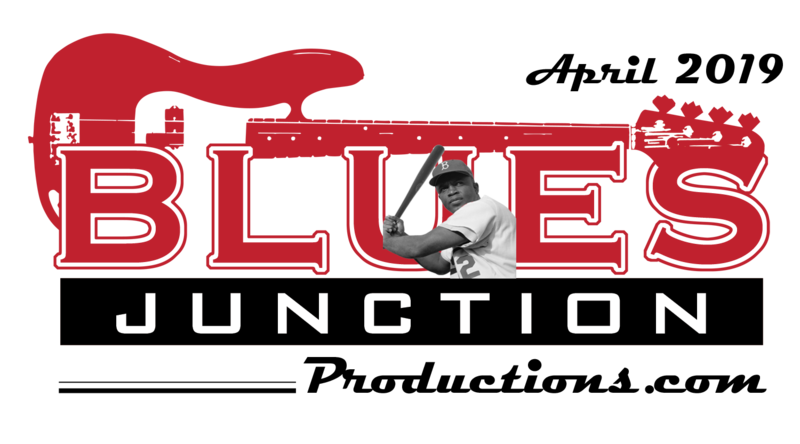 Other songs from W.C Handy and his iconic Saint Louis Blues to lesser known gems like Tampa Red’s hokum blues, What is it That Tastes Like Gravy? and Sleepy John Estes’ Someday Baby are also thrown onto the mix. Singers Sunny Crownover and Maria Maldaur make guest appearances on the CD. Duke is backed on a couple of tracks by harmonica great Jerry Portnoy. Mary Flower makes wonderful contributions on acoustic finger style and lap slide guitar. Marty Ballou and John Packer play acoustic bass on various tracks. Matt McCabe plays piano. Billy Novick plays the forgotten woodwind, the clarinet, through much of the proceedings and his welcome contributions add to the ‘old timey’ feel of the CD. Duke’s guitar playing as always is sublime and also demonstrates here that he can be an effective vocal stylist. He plays a variety of acoustic guitars, dobro, mandolin and ukulele. He provides fans detailed information on the various instruments he uses via three pages of liner notes written by Duke. The cover to the insert was painted by his brother, Gerald Robillard. The art work adds to the ambience of the entire package. In the modern blues world, musicians, particularly guitarists, in an often pathetic and desperate attempt to be heard, resort to all manner of bombastic grandstanding. Maybe the way to separate oneself from the din and move forward, is to quiet things down and take a step back. At least that is what Duke Robillard has done with his latest offering. It is a welcome and refreshing reminder of where this music has been. It could also represent at least one avenue to where it can travel in the future. 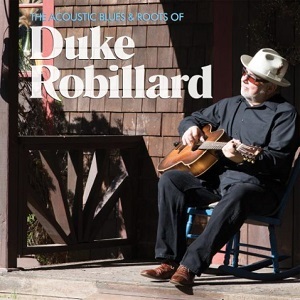 The Acoustic Blues & Roots of Duke Robillard is an extremely thoughtful and well-articulated reminder that blues music today, at its very best, is connected to a broad tapestry to what has come before.